While we do not share the information we collect on our websites with third parties, we do process the information we collect on our websites (registration details, contact details, traffic analysis reports) for in-house purposes: to improve the content of our web pages, to market MARDOUW brands and products, to fine-tune the behaviour of our websites, to monitor user behaviour, to customize the content and/or layout of our page for each individual visitor and to notify consumers about updates to our website. For the purpose of this clause, “personal information” shall be defined as detailed in the Promotion of Access to Information Act 2 of 2000 (PAIA). Mardouw.com uses Google Analytics, including its Demographics and Interest Reporting, to collect data about your traffic via Google advertising cookies and anonymous identifiers, in addition to data collected through a standard Google Analytics implementation. To provide website visitors the ability to prevent their data from being used by Google Analytics, Google has developed the Google Analytics opt-out browser add-on. Edit or remove your details from our mailing list MARDOUW store your registration details in an online database. You may at any time ask us to remove or edit your details, by contacting us via the contact details provided on the website. Website ownership and copyright – The Website is owned by MARDOUW and managed by MARDOUW as content provider and content aggregator. All materials distributed in the Website (the “Materials”) are owned exclusively by MARDOUW. Except for downloading one copy of the Materials for your personal, non-commercial home use, you must not reproduce, prepare derivative works based upon, distribute, perform or display the Materials without first obtaining the written permission of MARDOUW. Materials must not be used in any unauthorized manner. Text, legal opinions and advice, photographs and or graphic material, including the MARDOUW brand and logo (collectively, the “Materials”) shall not be published, broadcast, rewritten for broadcast or publication or redistributed directly or indirectly in any medium. Neither these Materials nor any portion thereof may be stored in a computer except for personal and non-commercial use. Termination and variation of services – MARDOUW may change, suspend or discontinue any aspect of the Website at any time, including the availability of any Website feature, database, or content. They may also impose limits on certain features and services or restrict your access to parts or the entire Website without notice or liability. Links – The Website may contain links and pointers to other World Wide Web sites and resources. Links to and from the website to other Web sites maintained by third parties, do not constitute an endorsement by MARDOUW or any of its affiliates of any third party website or content. MARDOUW are not responsible for the availability of these third party resources or their contents. You should direct any concerns regarding any external link to its Web site administrator or Webmaster. (4) any information contained in the website, or the services will be accurate or reliable. Limitations on liability – Notwithstanding any term in this agreement, or other operating term set forth by MARDOUW, you are exclusively liable for the content of every message you transmit via the website. In no event may MARDOUW be liable for any direct, indirect, incidental, special or consequential damages arising out of or relating to use of or inability to use the website. This limitation applies whether the alleged liability is based on contract, tort, negligence, strict liability, or any other basis, even if MARDOUW have been advised of the possibility of such damages. Because some jurisdictions do not allow the exclusion or limitation of incidental or consequential damages, the liability of MARDOUW in such jurisdictions shall be limited to the extent permitted by law. (2) any alleged breach of this Agreement by you. Termination – This Agreement may be immediately terminated at any time by MARDOUW in their sole discretion. In addition and without prejudice to any other remedy available to MARDOUW, and they may immediately terminate this Agreement if you breach any term of this Agreement or other operating term set forth by MARDOUW. Choice of law and jurisdiction – This website is owned and operated within the Republic of South Africa. Therefore, these terms and conditions are governed by the laws of the Republic of South Africa, and the user consents to the jurisdiction of the Western Cape Division of the High Court in the event of any dispute. Miscellaneous – This Agreement constitutes the entire agreement between the parties, and supersedes all prior agreement and communications with respect to the subject matter herein. The section headings in this Agreement are for convenience only and must not be given any legal importance. Detailed description of goods and/or services – MARDOUW makes South African olive products of superior quality, naturally, to encourage a healthier lifestyle. Pricing – All prices quoted include Value Added Tax (VAT), currently at 14%. Prices quoted are per quantity as indicated. MARDOUW reserves the right to vary prices at any time, without notice. Acceptance – MARDOUW shall acknowledge your order via email. Acknowledgement of the order constitutes legal acceptance of the order, at which point a binding contract of sale has been concluded and you will be charged for the order. MARDOUW reserve the right to refuse any order under the minimum indicated quantity. Orders may not be transferred from you to any other person. Delivery policy – Subject to availability and receipt of payment, requests will be processed within 5 working days and delivery confirmed by way of email or telephone. MARDOUW use private courier companies for delivery. Insurance – MARDOUW products are insured to the point of delivery. Export restriction – The offering on this website is available to South African clients only. Return policy – The provision of goods and services by MARDOUW is subject to availability. In cases of unavailability, MARDOUW will refund the client in full within 30 days. MARDOUW guarantees the quality of all products supplied, and your satisfaction is the foremost priority. If for any reason you are dissatisfied with your order and the quality of products, please contact MARDOUW and return the items at your cost within fourteen (14) days of delivery of your order. If MARDOUW finds that the items were faulty in any respect when delivered to you, MARDOUW will refund you the price of the items as well as the cost of delivery and return of the items, within thirty (30) days of the receipt of the returned items. You will be deemed to have accepted the order should you not return the products within the fourteen (14) day period. Refunds policy – Where you have paid by credit card, MARDOUW will process any refund to the credit card used for the purchase. In any other case, MARDOUW will refund you by EFT transfer. Payment options accepted – Payment may be made via Visa, MasterCard, Diners or American Express credit cards or by bank transfer into the MARDOUW bank account, the details of which will be provided on request. Credit card acquiring and security – Credit card transactions will be acquired for MARDOUW via PayFast.co.za who are the approved payment gateway for Standard Bank of South Africa. Users may go to www.payfast.co.za to view their security certificate and security policy. MARDOUW understand the importance of privacy and security. MARDOUW are committed to protecting the information collected from you and guarantee that it will only be used for purposes of processing your order and providing you with services you request from MARDOUW. Merchant Outlet country and transaction currency – The merchant outlet country at the time of presenting payment options to the cardholder is South Africa. Transaction Currency is South African Rand (ZAR). Responsibility – MARDOUW takes responsibility for all aspects relating to the transaction including sale of goods and services sold on this website, customer service and support, dispute resolution and delivery of goods. Country of domicile – These terms and conditions shall be governed by and construed in accordance with the laws of the Republic of South Africa. The courts of the Republic of South Africa shall have exclusive jurisdiction to determine any dispute connected with or arising from the use of the MARDOUW`s site or any orders placed with MARDOUW. If any of these terms or conditions are held by a court of competent authority to be unlawful, invalid or unenforceable, in whole or in part, then such terms or conditions will be regarded as severable, and will not affect the validity of the remaining terms and conditions which will continue to be valid and enforceable to the fullest extent permitted by law. Variation – MARDOUW may, in its sole discretion, change this agreement or any part thereof at any time without notice. Company information – This website is run by MARDOUW based in Swellendam, South Africa trading as MARDOUW. The promoter is Mardouw (“the Promoter”), and can be contacted at info@mardouwolives.co.za or PO Box 625,Swellendam, Western Cape, 6740, ZA. 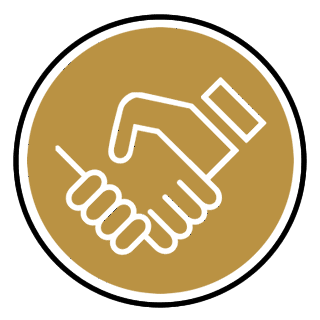 Unless otherwise specified, promotional competitions are open to all South African citizens and residents who are in possession of a valid identity document except any director, member, partner, employee, agent or consultant of the Promoter, the marketing service providers or any person who directly or indirectly controls or is controlled by these entities, including their spouses, life partners, business partners or immediate family members. Promotional competitions are limited in time, and open from the start date and end at the closing date, as indicated for every individual competition. Any entries received after the closing date will not be considered. To enter, participants are required to comply with certain conditions, as specified in the individual competition. Non-compliance means that the participant has not entered the competition, and means that the participant will not be considered for the prize. Prize winner(s) are selected by means of a random draw and are notified by means of the contact details that have been submitted at the time of participation. If participation required a “Like” on our Facebook page, prize winner(s) are notified by a message to their Facebook profile and by a notification with the name’s initials and city of residence on our Facebook page. If contact details were submitted at the time of participation, we will use these contact details to get in touch with the prize winner(s). The Promoter (or their agent) will endeavour to contact the prize winner(s) once every day for 3 (three) consecutive working days after their name is drawn. If the prize winner cannot be contacted during this period, the prize will be forfeited and another winner will be selected in accordance with the rules. All winners will be required to provide their names, physical street address (for delivery of the prize) and contact details and to sign an acknowledgment of receipt of the prize. Participants who fail to provide the necessary documents within 5 (five) days from date of notice will forfeit the prize. Any prize not taken up for any reason within 5 (five) days of notification will be forfeited. A copy of these rules can be found on the Mardouw website [www.mardouw.com] throughout the period of the competition. The names and profile picture of the winner(s), once contacted and confirmed, will be published on www.facebook.com/mardouw. The prizes are not transferrable. The agency’s print out of the delivery note will serve as proof of receipt of the prize by the winners. The Promoter reserves the right to use the images taken of the winner for publicity purposes in any manner they deem fit, without further remuneration being made payable to the winner. However, the winner has the right to object to these images being used by written notification to the Promoter at PO Box 625,Swellendam, Western Cape, 6740, ZA. Any attempt to use multiple e-mail or Facebook accounts or other tactics to enter or vote more than the stated limit may result in disqualification and all associated entries and/or votes will be void. Entries or votes generated by script, macro, bot, commercial contest subscription, incentives or other means not sponsored by the Promoter, vote-swapping sites, voting software, entering service sites or any other automated means and entries or votes by any means that subvert the entry/voting process or do not conform to the terms or spirit of these competition rules, will void the entry/votes and may disqualify the entrant. This promotion is in no way sponsored, endorsed or administered by, or associated with, Facebook. You are providing information to the Promoter and not to Facebook. All information provided to the Promoter in respect of this promotion will be treated as confidential and will not be disclosed to third parties, except in situations where:– The Promoter is legally compelled to do so; and – Disclosure is made at your request or upon your written consent. Where possible, the Promoter will limit the collection of information to the minimum information required for purposes of the promotional competition and in order to deliver superior service and advertising products to the participants in future. In the event the Promoter uses third party organisations for support reasons they will be required to stringently conform with the Promoters privacy statement.